For more than two decades, the BJP waited for its chance, first letting the Balasaheb Thackeray years pass and then not disturbing Shiv Sena overtly, while simultaneously working at the grassroots to register its presence among the electorate. Devendra Fadnavis led from the front in the run-up to the 2014 general election and was, therefore, rewarded. The politics in Maharashtra had never been friendly to the Bharatiya Janata Party (BJP), despite a very promising Lok Sabha performance in 1989. The BJP had fought this Lok Sabha election with an electoral understanding with the Janata Dal, and the two parties had won 15 seats between them in the state. Ten of these seats were won by the BJP. If politics were cricket, this outcome was akin to a young batsman scoring a solid half-century on debut in a test match. By 1991, however, the party’s seat tally was reduced to half. Further, the Shiv Sena established itself as an aggressive, indomitable political force in the mid-1990s in the wake of the Mumbai blasts and repeated communal incidents in the city. By the time the Shiv Sena won a historic mandate in 1995 to govern Maharashtra alongside the BJP, the latter had already conceded the alliance leadership to the Sena. Even with a great 1996 Lok Sabha performance, where the BJP won 18 seats and the Sena won 15, the party had resigned itself to play the role of the junior partner in the coalition. This was largely driven by the towering presence of Balasaheb Thackeray, which the BJP was in no position to match, let alone counter. Balasaheb remained the father-figure in the Hindutva political pantheon for a couple of decades, and the BJP’s Maharashtra leadership remained content playing second fiddle. This changed, potentially irreversibly, in the five months between the 2014 Lok Sabha election results in May and the Maharashtra Vidhan Sabha elections in October. The Lok Sabha elections saw the BJP winning 23 seats, the Shiv Sena 18, and the local ally Swabhimani Paksha one seat. The results were quickly explained by the BJP as its emergence as the prime political force in Maharashtra. A more assertive and confident BJP decided to challenge the Shiv Sena for regional supremacy. The first step of this challenge was the BJP going alone into the Maharashtra Vidhan Sabha polls in October 2014. Despite the fact that the BJP and the Shiv Sena were in an alliance in the central government, and the BJP was supporting the Shiv Sena in the prestigious Brihanmumbai Municipal Corporation, the two parties could not arrive at a seat-sharing formula for a pre-Vidhan Sabha poll alliance. The Congress had similar fallout with the Nationalist Congress Party, and suddenly the October 2014 polls became multi-cornered. The comprehensive national BJP victory made it easier for state-level politicians and smaller political parties in deciding which way their loyalties should rest. A BJP Vidhan Sabha ticket became a badge of political honour in Maharashtra, as the party decided to contest 259 out of the 288 assembly seats on its own, leaving the rest to smaller allies. Several of these 259 candidates came in from other parties, sensing a BJP upswing. They were to be proven right. Given how the BJP had underplayed itself in its alliance with the Shiv Sena, the organic political capability it had built since the ’90s was very unevenly distributed across the state. In the north-western districts comprising the Khandesh region adjoining Madhya Pradesh and Gujarat, two BJP stronghold states, the party had a good presence. In the north-eastern part, in Vidarbha, the BJP was traditionally the strong party championing the demand for greater autonomy, perhaps full statehood for the region. In the western coastal belt of Konkan, the BJP had almost no presence outside Mumbai. In the city of Mumbai itself which accounts for thirty-six assembly seats, the party was seen backed by Gujarati voters, with its influence limited to the few suburbs where these voters were in a majority. In western Maharashtra, the party had mixed ground strength. It had won Pune and nearby areas on and off, but over the years, the Nationalist Congress Party had emerged stronger controlling the sugar belt agrarian politics. In the Marathwada region constituting the rest of the state, the BJP would traditionally win a few seats, but had no institutional influence or support. This was not an enviable position to be in. Outside the strongholds of Vidarbha and Khandesh, everywhere else the party faced a stark binary — a few seats with total dominance; an almost complete blank otherwise. There were question marks on whether the solid Lok Sabha performance in the summer could be translated into a similar strong showing in the Vidhan Sabha elections. Historically, the BJP had not shied away from naming a chief ministerial candidate in the run-up to the state polls. This was especially true in states where it had a strong base. But in Maharashtra, the party entered the electoral fray without naming a potential leader. Several party stalwarts — Devendra Fadnavis, Sudhir Mungatiwar, Poonam Mahajan, Pankaja Munde, Eknath Khadse, and Vinod Tawde — among others, campaigned in their own strongholds. 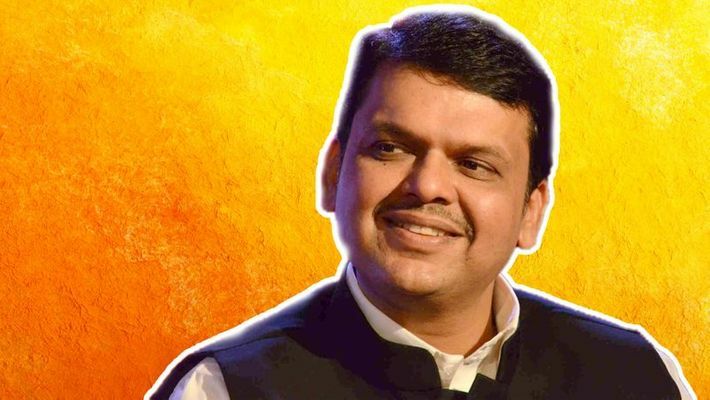 One name that was visible throughout the campaign, especially in the Marathi media, railing against the alleged corruption of the Nationalist Congress Party and the Congress, was Devendra Fadnavis. Then a three-time MLA, Fadnavis was the articulate and forceful face of the party. The four principal parties were joined by the beleaguered Maharashtra Navnirman Sena, which was struggling to stay relevant after a stunning entry on the political scene in 2009 and All India Majlis-E-Ittehadul Muslimeen, which was attempting to position itself as the numero uno Muslim party ahead of the old warhorse, the Samajwadi Party. The BJP and the Shiv Sena were in talks almost till the last moment on a seat-sharing arrangement. The last date for filing nominations for the polls was September 27. The two parties were in an on and off dialogue till September 25. The BJP had not contested several seats in the state ever and had no ground-level organization in many places. It still fielded 259 candidates less than forty-eight hours after the talks with the Shiv Sena broke down. An unprecedented 169 names of candidates were finalized by the party between 7 pm on September 25 and the morning of September 27. All the candidates filed their papers on time on September 27. The BJP state president Devendra Fadnavis had planned for this eventuality after he took over the reins of the state unit in 2013. Fadnavis and the senior leaders had been working on a booth-level political strategy since 2013. Every leader including senior ones was asked to understand booth-level polling dynamics in the areas assigned to them. Eventually the party gathered information on more than eighty-nine thousand polling booths across the state, and assigned its volunteers to every booth to make electoral inroads at the most granular level. This exercise, a brainchild of Fadnavis in Maharashtra, was conducted in a discreet manner. The BJP was not supposed to fight all seats — after all there was an alliance with the Shiv Sena. But the BJP did not want to be left out if the alliance snapped at the last moment, which is precisely what happened. The Plan B, emanating from the vision and foresight demonstrated by Fadnavis after he was given the charge to lead the BJP in the Vidhan Sabha polls, would save the nomination filing day. The state BJP conducted outreach sessions in each district, calling them district meets as opposed to constituency meets. The party would seek names of new leaders and inductees from each district. In reality, the names of potential candidates in each constituency were being collected. Each district had generated between three and five hundred names, interested in contesting with the Lotus symbol. Behind the scenes, the party had been working to map interested candidates to constituencies, without making it too obvious. As had been the usual style of the BJP under the new national president Amit Shah, surveys were conducted to understand the most suitable best fit candidates. The party hence had a list of candidates for all 288 constituencies, though in the talks with the Shiv Sena, it remained focused only on the 150 odd seats which it hoped to contest in the alliance. When the alliance broke, the vast swathes of data collected in the preceding two years came handy. The BJP had no hassles putting names against 259 seats, taking its opponents by surprise. The Shiv Sena had banked on the inability of the BJP to cobble up contestants to keep up the pressure in seat-sharing negotiations. But the BJP went alone into the polls without hesitation once the Sena did not agree on the division of seats. 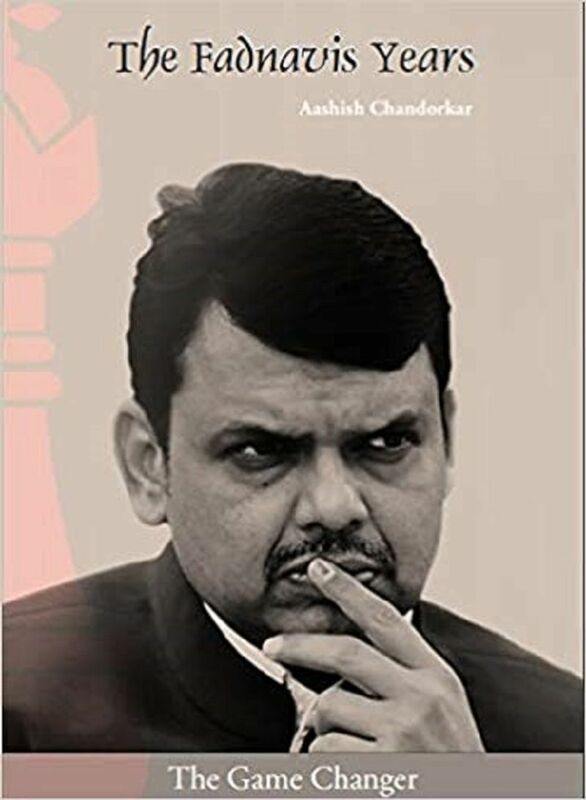 While the post above is an excerpt from the book, The Fadnavis Years, by the author, it has been edited in some places to match the MyNation style. The book can be ordered on Amazon.